PRESS STATEMENT The Peace and Security Council (PSC) of the African Union (AU), dedicated its 836th meeting, held on 3 April 2019, to an Open Session on the theme “Prevention of the ideology of hate, genocide and hate crimes in Africa”. The Peace and Security Council (PSC) of the African Union (AU), dedicated its 836th meeting, held on 3 April 2019, to an Open Session on the theme “Prevention of the ideology of hate, genocide and hate crimes in Africa”. Council took note of the opening statement by H.E. Ambassador Bankole Adeoye, Permanent Representative of the Federal Republic of Nigeria, in his capacity as Chair of the PSC for the month of April 2019. Council also took note of the statement made by H.E Olivier Nduhungirehe, Minister of State in charge of East African Community, Ministry of Foreign Affairs and International Cooperation of the Republic of Rwanda, as well as the presentations made respectively by the Director of Political Affairs of the AU Commission, Dr. Khabele Matlosa, and the Special Representative of the United Nations (UN) Secretary-General to the AU, H.E. Hanna S. Tetteh. Council further took note of the statements by AU Member States, partners and international organizations. 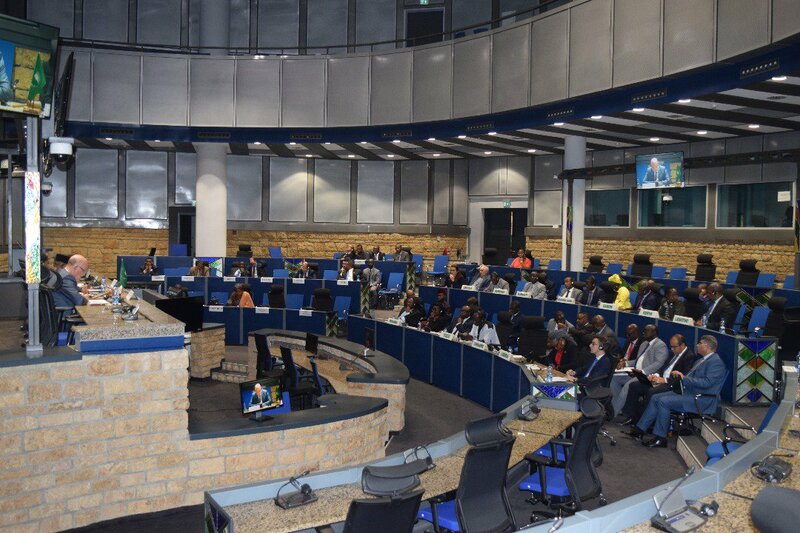 Council underscored that 7 April 2019 will be the twenty fifth Commemoration of the genocide against the Tutsi in Rwanda. In these moments of remembrance, Council paid tribute to the victims of the Genocide and offered comfort to the survivors. Council recalled AU Assembly Decision Assembly/ AU / Dec.695 of 2 July 2018 by which 7 April of each year was designated as the African Union day of Commemoration of the 1994 Genocide against the Tutsi in Rwanda, as well as the UN General Assembly decision 72/550 of 26 January 2018, designating 7 April as International Day of Reflection on the 1994 genocide against Tutsi in Rwanda, and its previous pronouncements on the prevention of the ideology of hate, genocide and hate crimes in Africa, in particular its communiqué [(PSC/PR/COMM. (DCLXXVIII))] adopted at its 678th meeting held on 11 April 2017, in which Council decided to convene, annually in April, a PSC open session on the prevention of the ideology of hate, genocide and hate crimes in Africa. Council recalled lessons drawn from the Genocide against the Tutsi in Rwanda that widely inspired the transition from the Organization of African Unity to the AU, in particular the adoption of article 4 (h, j and o) of the AU Constitutive Act, as part of Africa never again Policy, adopted after the genocide. Council reaffirmed the respect for sanctity of human life as ensured in article 4(o) of the Constitutive Act, the Charter of the United Nations, the Universal Declaration of Human Rights and the Convention on the Prevention and Punishment of the Crime of Genocide of 1948. Council expressed concern at the increasing trend in Africa of hate speech, identity and religious based conflicts, hatred, the exacerbation of ethnic divisions, among others, that constitute strong drivers of ideology of hate which leads to hate crimes and genocide. Council further expressed concern that extremist ideology among religious and ethnic groups is fostering a new ground for hate speeches which constitutes a fertile ground for hate crimes and genocide. Council noted the importance of promoting religious tolerance with a view to preventing recurrence of mass atrocities, hate crimes and ideology of genocide on the Continent. In this regard, Council commended His Holiness, Pope Francis and the His Majesty, Mohammed VI, King of Morocco, for their joint Call for peace and tolerance message issued during the recent Pope’s visit in Morocco, as part of efforts aimed at promoting peaceful co-existence of all faiths in mutual respect and tolerance. Council took note with deep concern of the rise of xenophobia in some parts of the Continent. In this regard, Council condemned all forms of xenophobic attacks, racism and intolerance in Africa and reaffirmed the AU’s strong commitment to good neighborliness and solidarity in Africa. Council reaffirmed the centrality of the UN Convention on the Prevention and Punishment of the Crime of Genocide of 1948, as an effective international instrument for the prevention and punishment of the crime of genocide. Council emphasized that the crime of genocide as recognized in this Convention, is an odious scourge that has inflicted great losses on humanity, and that full international cooperation is required to facilitate the timely prevention and punishment of the crime of genocide. Council urged all AU Member States that have not yet done so to sign, ratify or adhere to the universal and regional instruments against genocide, in particular the UN Convention on the Prevention and Punishment of Genocide, adopted in 1948, as a critical step towards reinforcing Africa’s stand against the crime of genocide. In this respect, Council also urged Member States to domesticate in their national legislation all instruments relating to the prevention and the punishment of hate speech, hate crimes and genocide, as they have the primary responsibility to protect their own citizens. Council expressed concern that several perpetrators of genocide against the Tutsi in Rwanda continue to elude justice and reaffirmed the critical need to fight impunity and to that end, to arrest, prosecute or extradite persons responsible for genocide against the Tutsi in Rwanda, who are still at large. Council took note of the efforts by some member states to arrest, prosecute or extradite those accused of the genocide against the Tutsi in Rwanda and called upon all countries to cooperate with the International Residual Mechanism for Criminal Tribunals and the Government of Rwanda in the arrest, prosecution or extradition of the remaining indicted fugitives. Council further called upon all countries to arrest, prosecute or extradite, all other fugitives accused of genocide residing on their territories, including those leading the Forces démocratiques de libération du Rwanda (FDLR). Council further called upon countries to recommit to prevent and fight against genocide, and other serious crimes under international law, reaffirmed paragraphs 138 and 139 of the 2005 World Summit Outcome Document on the responsibility to protect populations from genocide, war crimes, ethnic cleansing and crimes against humanity, and underscored the importance of taking into account lessons learned from the 1994 genocide against the Tutsi in Rwanda. In the same vein, Council recalled the continuous relevance of the Rabat Plan of Action on the prohibition of advocacy of national, racial or religious hatred that constitutes incitement to discrimination, hostility or violence, adopted at the series of experts workshops organized by the UN High Commissioner for Human Rights, in Rabat, Morocco on 5 October 2012.
the African people. Council called on all AU Member States and international community as a whole to put in place measures that prevent deniers from promoting hate speech. Council took note of the resolve of the international community, through the UN, to redouble efforts against hate speech. In this respect, Council requested AU Member States and the AU Commission to take an active part in this process, to ensure that Africa’s concerns in this regard are duly taken into account. Council, stressing once again the importance of promoting civic awareness and the culture of peace, reaffirmed the need for Member States to develop, through educational programs that will inculcate the young generations with the lessons learnt from the genocide against the Tutsi in Rwanda, with a view to sustain prevention efforts as part of African Commitment to spare future generations from hate crimes and genocide. Council noted that education, in schools, in communities and through the media raises greater awareness about the value of life and humanity, and the need for collective responsibility to prevent the ideology of hate genocide and hate crimes in Africa. Council recognized the constructive role of social media in connecting people and communities. While commending the positive contribution of social media in socio-economic development and deepening of democracy, Council expressed deep concern at the negative use of social media that contributes to amplify hate speech, hate crimes, ideology of genocide that constitute the critical steps to the crime of genocide. Council requested all Member States and Regional Economic Communities/Regional Mechanisms to continue pursuing and intensifying their collaboration with the AU early warning mechanisms on order to assess, detect and timely respond to sources of tension and situation that might contain risks of hate crimes and genocide. Council called upon member states to promote unity and reconciliation initiatives to prevent the ideology of hate, genocide and hate crimes and further called for full inclusion of the African youth in the development agenda in order for them to play a central role in diversity management and society transformation. Council underscored the importance of restoring the dignity of victims of the genocide against the Tutsi in Rwanda through remembrance, which would also guide societies in the prevention of mass atrocities and genocide. In this regard, Council encouraged all AU Member States, in line with the Assembly decision referred to above, to observe the 7 April of each year through commemoration activities, in memory of the victims of the genocide against Tutsi in Rwanda. Council commended the tremendous efforts of the Government and people of Rwanda for restoring and putting the country on the path of progress, promoting unity and reconciliation through resilience that made it possible to find home grown responses to critical challenges in the aftermath of the genocide. 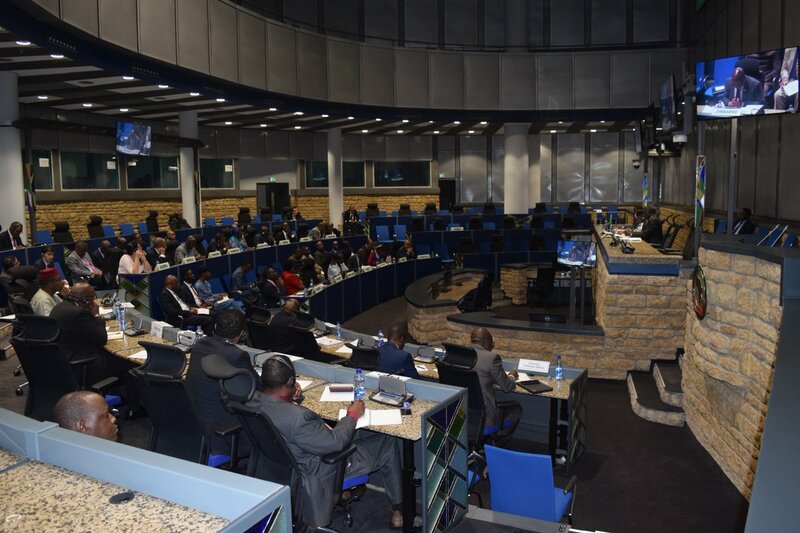 Council recognized the role of initiatives, such as Ndi Umunyarwanda (I am Rwandan), as part of the unity and reconciliation process and building social cohesion in the country. Council agreed to remain actively seized of the matter.